Our favorite 2-man band in rock, Royal Blood, is back in 2017 and we couldn’t be more excited. Ahead of the release of their forthcoming sophomore LP, How Did We Get So Dark? (duo out June 16 via Warner Brothers), the British duo will embark on a new headlining tour throughout the U.S. Starting things off on June 2nd in Boston, Royal Blood will make stops in Washington D.C., Philadelphia, Santa Ana and more, including various festival performances throughout the country (Lollapalooza, Outside Lands, Bonnaroo, Governor’s Ball). And if Royal Blood’s followup to their self-titled debut is half as good as the LP’s lead single, ‘Lights Out’, than you’ll want to catch a stop on their new headlining tour to hear cuts from the album live. 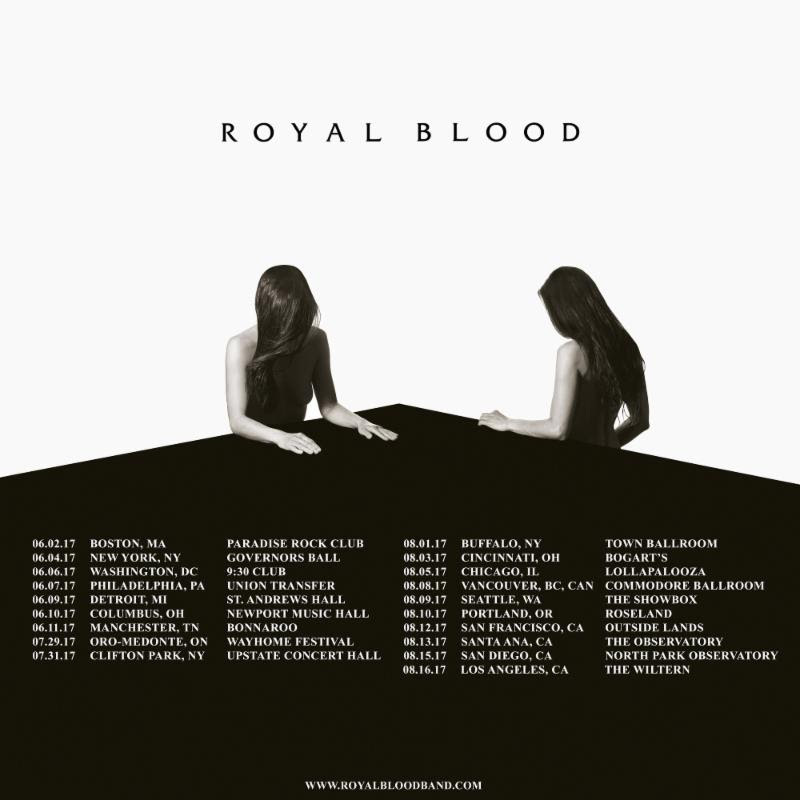 Check out the dates for Royal Blood’s U.S. tour below and get more ticket information at the band’s official website. You can also read our interview with the band here.